Cancer is the general term for malignant tumors, which is a group of diseases involving abnormal cell growth with the potential to invade or spread to other parts of the body. Compare with benign tumors, infectious tumors are named for malignant tumors. When a cell mutates in the body, it will continue to divide due to loss of control for proliferation, eventually forming cancer. All organs in the body are composed of cells. Cell proliferation, differentiation and apoptotic pathways allow cells in the body to keep balance. However, if cells sustain to divide owing to loss of control, the extra cells will form tumors. In malignant tumors, it always shows the biological characteristics of abnormal cell differentiation and proliferation, loss of growth control, invasiveness and metastasis. These characters are necessary for cancer. In cancer, the biological characteristics also shows similar phenomena, such as: 1. Cell growth and division is out of control; 2. Cancer cell can avoid apoptosis; 3. Blood vessel construction is promoted; 4. Invasion of tissue and formation of metastases. Therefore, cells of malignant tumors can invade and destroy adjacent tissues and organs. Moreover, cancer cells can pass through the tumor and enter the blood or lymphatic system, which allows cancer to form new tumors from the original site to other parts of the body. This process is called cancer metastasis. Cancer is a multi-factor, multi-step complex process, and its causes are also very complicated. For example, smoking, infection, occupational exposure, environmental pollution, unreasonable diet, and genetic factors can cause cancer. According to previous studies, the result shows that tobacco use is the cause of about 22% of cancer deaths, another 10% are due to obesity, poor diet, and lack of physical activity or excessive drinking of alcohol. Other factors include certain infections, exposure to ionizing radiation and environmental pollutants. Approximately 5–10% of cancers are caused by inherited genetic defects from a person's parents. In addition, 15% of cancers are caused by infections in the developing world. Since tumorigenesis is first caused by cancerous cells, cell fate is closely related to tumorigenesis. In cells, its proliferation, differentiation, apoptosis and autophagy pathway play important role in the process of deter mining the cell fate. P53 pathway is a key role in the control of apoptosis, and the signal transduction and function of this pathway largely prevents cell carcinogenesis. Therefore, it is also a kind of way for tumor treatment to induce the death in tumor cells via P53 pathway. In the process of tumor growth, it is necessary to obtain nutrients from the blood, and it is necessary to induce angiogenesis in the tissues and organs in which the tumor occurs. In inhibition of this angiogenesis in the course of clinical tumor treatment can also achieve the purpose of killing cancer cells. Additionally, in the process of tumorigenesis, it is accompanied by chronic inflammation, which provides a suitable microenvironment for tumorigenesis and growth. Inhibition of this chronic inflammation can inhibit tumorigenesis to some extent. The tumor cells can survive by immune checkpoint mechanism to suppress the killing of the immune system in the body. Therefore, the ability of the immune system to clear tumor cells can be improved by suppressing the immune checkpoint. In clinical, these drugs have shown great potential in tumor therapy. Malignant tumors have many types, which have different properties, involving different tissues and organs, different disease periods, and different responses to various treatments. Therefore, most patients need comprehensive treatment. The so-called comprehensive treatment is based on the patient's physical condition, the pathological type of the tumor, the scope of invasion, etc., comprehensively using surgery, chemotherapy, radiotherapy, immunotherapy, interventional therapy, microwave therapy, etc., in order to greatly improve the cure rate and the quality of life of the patient. In theory, if the tumor cells are completely removed by surgery, the cancer can be cured. Surgical resection is still the treatment of first choice for early solid tumors. It treats cancer with drugs that kill cancer cells. Since the biggest difference between cancer cells and normal cells is rapid cell division and growth, the principle of anticancer drugs is usually to inhibit the growth of cancer cells by interfering with cell division, such as inhibiting DNA replication or preventing chromosome segregation. Most chemotherapy drugs are not specific, so they kill normal tissue cells that undergo cell division, and often damage healthy tissues that need to be split to maintain normal function, such as intestinal mucosal cells. However, these tissues usually repair themselves after chemotherapy. Because some drugs can be combined for better results, chemotherapy often uses two or more drugs at the same time, called "comprehensive chemotherapy," and most patients use chemotherapy in this way. Radiation therapy is also known as radiotherapy. It uses radiation to kill cancer cells and shrink tumors. Radiation therapy can be via in vitro radiation therapy or in vivo proximity radiation therapy. Since cancer cells grow and divide faster than normal cells, DNA damage is not repair in time after the genetic material of the cells is destroyed by radiation. This prevents cells from growing or dividing, thereby controlling the growth of cancer cells. However, the effects of radiation therapy can only be limited to areas that receive exposure. The goal of radiation therapy is to destroy as many cancer cells as possible while minimizing the impact on neighboring healthy tissue. Although radiation exposure can cause damage to both cancer cells and normal cells, most normal cells can recover from radiation-induced damage. Targeted therapies have seen significant effects in the treatment of certain types of cancer. They are as effective in treating cancer as chemotherapy, as but with fewer side effects than chemotherapy. It is also a very active research area at the moment. The principle of this treatment is the use of small molecules that specifically target abnormal or dysregulated proteins of cancer cells, such as tyrosine phosphatase inhibitors, for the treatment of EGFR (epidermal growth factor receptor) sensitive mutations in non-small cell lung cancer. The curative effect is remarkable, but the emergence of drug resistance genes is currently the main obstacle hindering further improvement of curative effect. 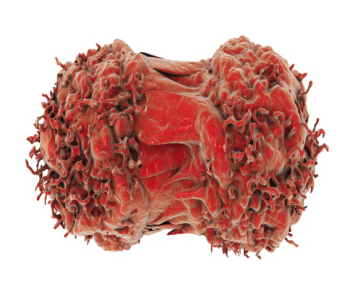 Immunotherapy uses the immune mechanism in the body to fight against tumor cells. There have been many immunotherapies against cancer in research. The main current methods are cancer vaccine therapy and monoclonal antibody therapy, as well as current popular CAT technology and the use of immune checkpoints to kill tumor cells. By introducing foreign genes into the human body to correct gene defects, the concept of gene therapy for malignant tumors has expanded from correcting gene defects to introducing foreign genes into the human body, eventually achieving direct or indirect inhibition or killing of tumor cells. In cancer research, more and more new methods are starting to be used, so that the effects of cancer treatment can be effectively improved. Among them, CAT technology and immunological checkpoint inhibitor treatment are the most promising methods for treating tumors. It also provides a new thinking about the treatment of cancer. Anand P, et al. Cancer is a preventable disease that requires major lifestyle changes. Pharmaceutical Research. 2008, 25 (9): 2097–116. Jayasekara H, et al. Long-Term Alcohol Consumption and Breast, Upper Aero-Digestive Tract and Colorectal Cancer Risk: A Systematic Review and Meta-Analysis. Alcohol Alcohol. 2016, 51 (3): 315–30. Lind M.J., M.J. Principles of cytotoxic chemotherapy. Medicine. 2008, 36 (1): 19–23. Hill R, et al. Advances in kilovoltage x-ray beam dosimetry. Physics in Medicine and Biology. 2014, 59 (6): R183–231. Waldmann TA. Immunotherapy: past, present and future. Nature Medicine. 2003, 9 (3): 269–77.